The use of novel materials and new structural concepts nowadays is not restricted to highly technical areas like aerospace, aeronautical applications or the automotive industry, but affects all engineering fields including those such as civil engineering and architecture. The conference addresses issues involving advanced types of structures, particularly those based on new concepts or new materials and their system design. Contributions will highlight the latest development in design, optimisation, manufacturing and experimentation in those areas. The meeting also aims to search for higher performance sustainable materials. Most high performance structures require the development of a generation of new materials, which can more easily resist a range of external stimuli or react in a non-conventional manner. Particular emphasis will be placed on intelligent structures and materials as well as the application of computational methods for their modelling, control and management. The conference also addresses the topic of design optimisation. Contributions on numerical methods and different optimisation techniques are also welcome, as well as papers on new software. Optimisation problems of interest to the meeting involve those related to size, shape and topology of structures and materials. Optimisation techniques have much to offer to those involved in the design of new industrial products. 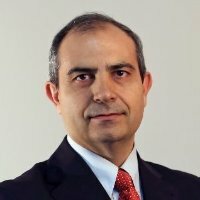 The development of new algorithms and the appearance of powerful commercial computer codes with easy to use graphical interfaces has created a fertile field for the incorporation of optimisation in the design process in all engineering disciplines. This scientific event is a new edition of the High Performance Design of Structures and Materials conference and follows the success of a number of meetings on structures and materials and on optimum design that originated in Southampton as long ago as 1989. As the meetings evolved they gave rise to the current series, which started in Seville in 2002, and followed by Ancona in 2004, Ostend in 2006, the Algarve in 2008, Tallinn in 2010, the New Forest, home of the Wessex Institute in 2012, Ostend in 2014 and Siena in 2016. 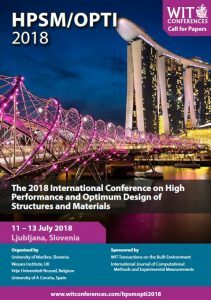 The meeting will provide a friendly and useful forum for the interchange of ideas and interaction amongst researchers, designers and scholars in the community to share advances in High Performance and Optimum Design of Structures and Materials.